The Best Chocolate in Town? Yep! 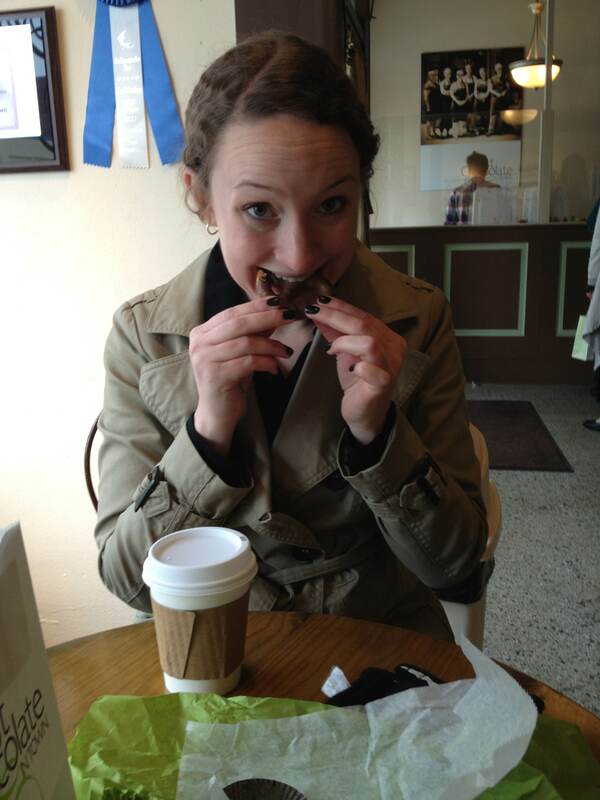 I could forgo writing any narrative at all and just admit to you that last week, I visited The Best Chocolate in Town three days in a row. But brevity of speech has never been my strength, particularly where food is concerned, so let me regale you. Spicy (Mexican) Cocoa: I’m a huge fan of Mexican Hot Chocolate, which for those of you unfortunate enough to have never tried it, has cayenne pepper and cinnamon (or some combination of aromatics and spicy heat). Until TBCIT started making it, I always counted on La Chinita Poblana for my fix, and I would still be hard-pressed to pick a favorite, although they are certainly distinct. 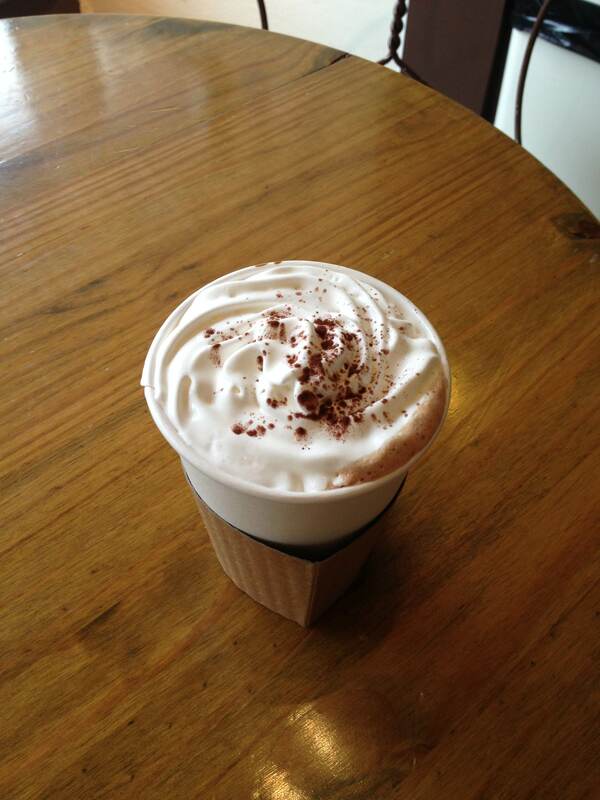 TBCIT also makes a mean regular hot cocoa, and let’s face it: anytime someone asks “Would you like whipped cream on that?” you’re making a great decision. Chocolate Dipped Pretzel: TBCIT uses nice big Snyder’s of Hanover-style pretzels for dipping and offers white, milk, or dark chocolate varieties. While I liked the SIZE of the pretzel, it’s heartiness made the confection actually rather difficult to eat. Like literally use-your-molars-difficult. Sea Salt Caramel and Bon Bons: The peanut butter bon bon was quite delectable (top left in Nancy’s box) and clockwise the sea salt caramel also met rave reviews. We also sampled a sugar-free peanut butter cup (not pictured) that was actually quite heavenly. There must have been Splenda or something in the chocolate shell because it was mildly sweet, but overall the confection lacked any of the overly sweetened quality that technically sugar free treats sometimes have. From 1:00, clockwise: Lemon Chiffon in Dark Chocolate, Cookies and Cream in white, Coconut Curry in white, Nocturne, and White chocolate cheesecake in dark chocolate. 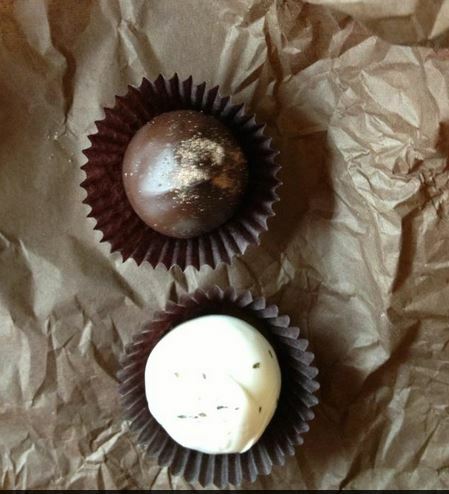 Truffles: These are what TBCIT is famous for, and the reason picking a treat takes 20 minutes. I’ve sampled several of their varieties over time, so I’ll just make general comments and then list the ones I have liked the best (Hint: it’s all of them). In general, I like the truffles here, as evidenced by my return visits. 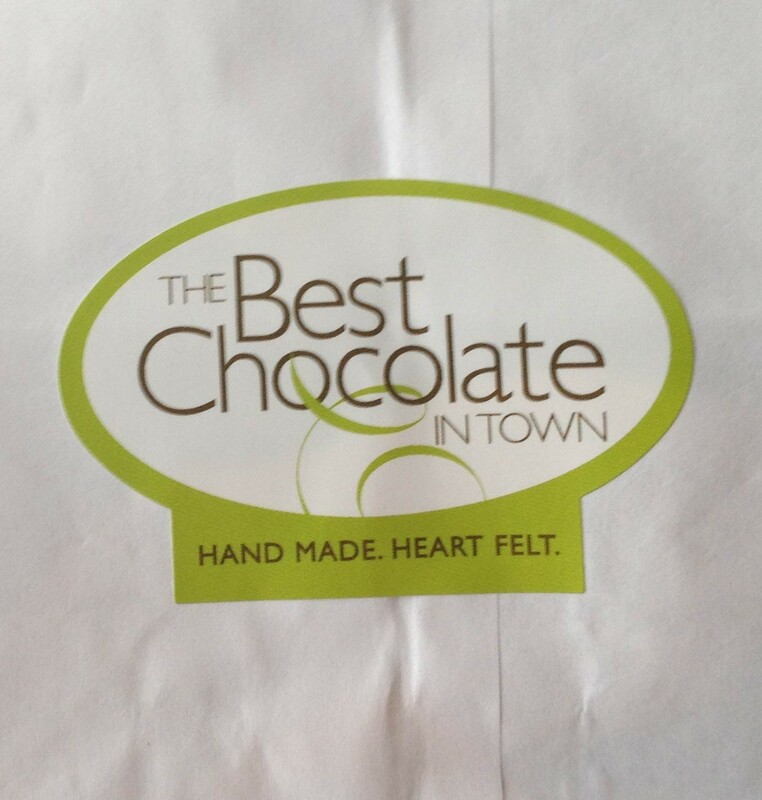 And they certainly live up to their claim as the best chocolate in town, at least to the best of my knowledge. But I hail from the land of Fannie May, and I wouldn’t say these are the best chocolates I’ve ever had by a decent shot. For my personal taste, the outer shell of TBCIT truffles tends to be a little on the thick side, making it somewhat tough to bite. The ganache filling, depending on the flavor, is sometimes a bit dry. If this were any other food, I would not even mention these textural issues, because they are slight. But truffles are a piece of candy the size of a Reese’s cup at 10 times the price, and are by their nature something that needs to be EXECUTED. To me, a truffle needs to have a ganache that is not oppressively dense, but not light and fluffy either. By way of a standard, I’d say a happy medium between fudge and a 3 Musketeers bar. The shell needs to be a rich chocolate with just the right fat content to feel luxurious and silky in your mouth. I expect my tooth to glide through the interface between shell and ganache without a hiccup, and that component is missing from TBCIT truffles. They are just a bit too sturdy, in my opinion, for a luxury food item. I’m dying to try The Gorg (gorgonazola filling! ), any of the Cheesecake filling varieties, and Honey Lavender. I also just saw they started carrying Lick ice cream (made in Indianapolis and normally only available at City Market or on trucks) so that will have to happen soon, too. In summary (thought I’d never stop blabbing about chocolate, didn’t you?? ), I like this place a whole lot. But for a great great truffle, that serene perfect expression of elegant chocolatey glory, I go elsewhere.